When I moved up to Pennsylvania, I did a legal check to make sure I was allowed to possess a great big stack of sharp things. It turns out that – while everyone in Pennsylvania seems to be able to carry guns – some manual arms are banned. 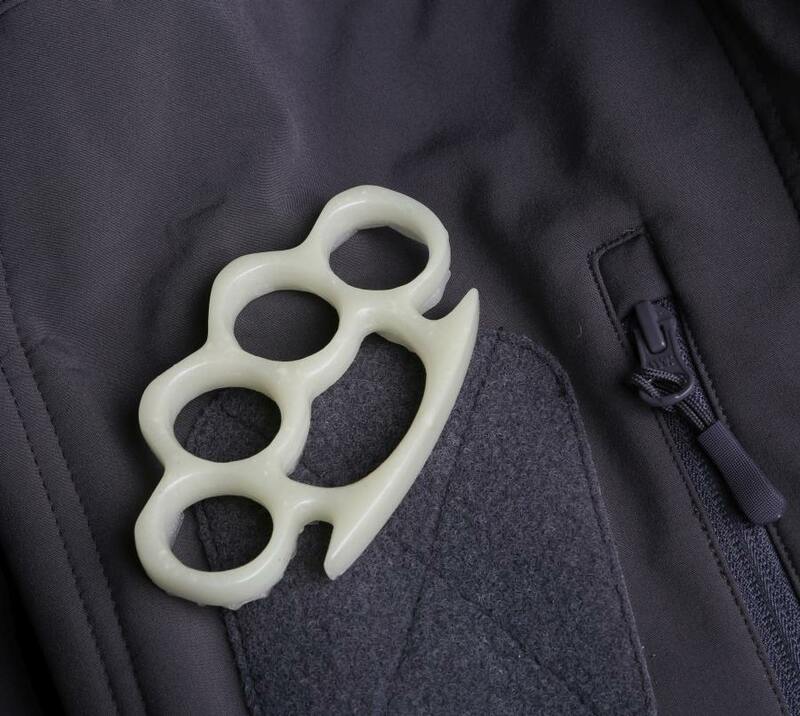 Presenting: Silicone Rubber Non-Lethal Tactical Knuckles. These are the essential “must have” in any properly equipped bug-out bag! You never know when you’re going to need to mow a Proud Boy Hipster’s face-lawn, and with these on your hand you can add some Boing to your Pow. Product photography notes: Note the even lighting; that was done with a very large softbox, fairly close. The even light creates soft, even shadows, and the large light-surface creates large reflections. In this case, I believe it adds a bit of depth to what would otherwise be a problematically flat photograph. I used a grey tactical Chinese special forces jacket as a background, because the stitches, velcro, and zippers will subliminally provide a sense of scale. Because modern cameras practically see in the dark, I didn’t even bother with hooking up and calculating a flash; I just let the camera’s computer do all the work with the softbox’ modeling lamp as the main source of illumination. The silicone knuckles are actually kind of wobbly; they’re about the consistency of a gummy worm. They are very stretchy, too, and could probably be used as a hair band. 1) That’s fantastic. You could market that. 2) Our area also has a number of banned hand weapons. An acquaintance likes to grief local politicians who come to the door by asking them what they plan to do about the nunchuck ban and if they can get it covered under the concealed carry permit. You could probably also make glow-in-the-dark silicone nunchaku. It would be better if you could state that they are illegal in some locale. … and could probably be used as a hair band. I lived through the eighties and I doubt it. Is an IoT-enabled version out of the question? Also, I don’t know if testimonials are a thing on the tactical market but maybe you could mail some samples out to veterans and quote their reactions. Virtually anything other than confused bewilderment would do. And said bewilderment could still be used to market the “surprise element” angle, e.g. Anyway, this sort of thing might actually work as a prize to be won at a fair, along with plastic swords and other medieval toys* one can get. It’s a pity the “brass knuckle” theme doesn’t quite fit the usual theme and seems a bit off compared to traditional toy armaments, otherwise I might want one myself. ** Well, perhaps one might argue that even Robin Hood has worn out a the odd pair of knuckles in his day. *Axes, bows, crossbows but, strangely, no maces, morning stars or things of a flaily persuasion. **but not for myself. Ahem. Blimey, talk about sloppy. Cast the silicone with enough brass powder to make it look metallic and show up under x-rays. Then laugh at the operative who thinks it’s the real thing. Look at that tactical zipper!!! – Non-latex and safe for your skin. You could possibly make some (glucose free) Glow-In-The-Dark Tactical Soap Knives. Because you never know when you might get attacked! It could be while you’re in the shower in the dark! You need to use the word ‘tactical’ a lot more. And market these as a tactical hair-band with which women can tie up their hair into a pony-tail, to fight off potential attackers on the street (like all those ‘uncuttable’ items of clothing or not wearing pony-tails… uh… wait… well, a little contradiction never hurt anyone, right?). Actually it’s the glow-in-the-dark soap part that has me interested – will it make me glow in the dark, too? Because that… would be kind of awesome. But tactically bad, I guess. I was slow to get that, then everyone around me was wondering why I was convulsed with laughter. Well done! (groan) Now that’s probably going to have to happen. I wonder if they’re legal in Pennsylvania. I suppose I could take a few minutes and make some in the wood shop; I have some very nice red oak. Fine art nunchuks anyone? 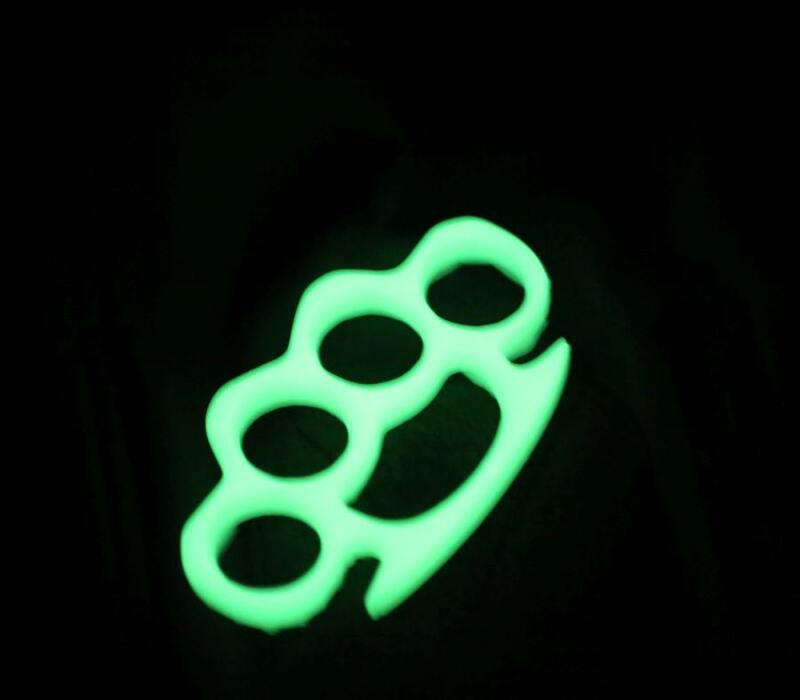 Up next: glow-in-the-dark soap-on-a-rope nunchaku. Perfect for the Puritan life-style – if you learn to handle it right, you don’t need to actually touch yourself while washing. Not an impossible task, especially considering kids and their kendamas* these days.